First of all, being a fruit flavor tea lover, there were little chances that I would not be impressed by this tea. My husband also loves fruit teas and hence I decided to give this tea a try. Initially, my expectations were high from this tea and I’m glad that I wasn’t let down. On opening the pack I was immediately taken aback by the sweetness of mango and apple. 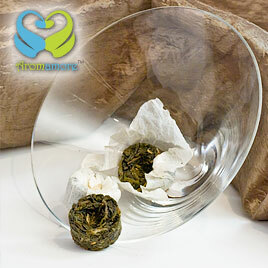 While brewing, it let out some floral notes too which further added to the scent. The taste was refreshing, uplifting and exciting. Now, I can’t start my day without having a cup of apple mango black tea. Wow! What a tea! 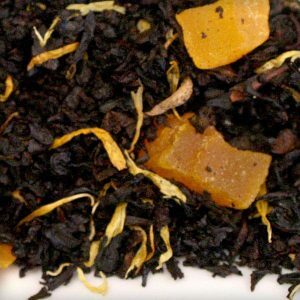 A wonderful blend of strong black tea and the sweetish taste of mango and apple. You can smell the strong scent of the fruit when you start sipping the tea. 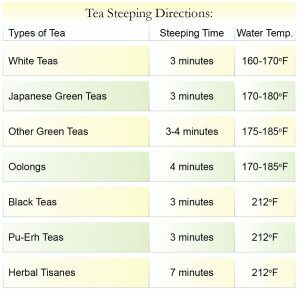 The best thing about this tea is that you can either sip it warm from a teacup, or it is just as delicious when you add a little sweetener, preferably honey, to make a phenomenal tasting iced tea. 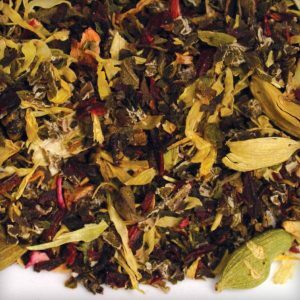 I have stopped serving soda to my friends, instead serve a pitcher of iced tea made with this black tea blend. I am almost addicted to it. It is truly pleasant and lively. It has a superb flavor of orchard apples with a hint of cinnamon. It has a brisk aroma of freshly crushed apples and mango. It tastes neither too tangy nor too sweet. Just a mild flavor of caramelized apples. Loved it! 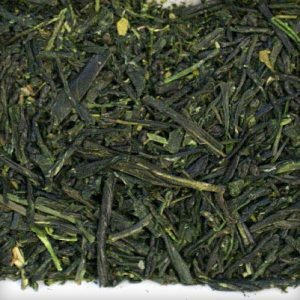 I often don’t crave much for a fruit tea, however, I am completely smitten by this tea now. 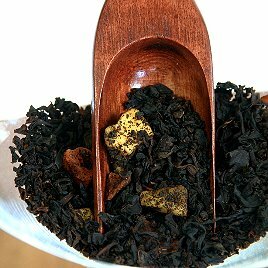 The tea has a very potent, pleasant aroma and small pieces of apple that does full justice to the tea. After nearly boiling it for 2 minutes, I had a cup of tea that was kind of red-amber hued and it tasted as if someone had mixed apple juice and mango in it. Without sugar, it still tastes sweet and the flavor is crisp. Since I had the first cup, I am craving for more. 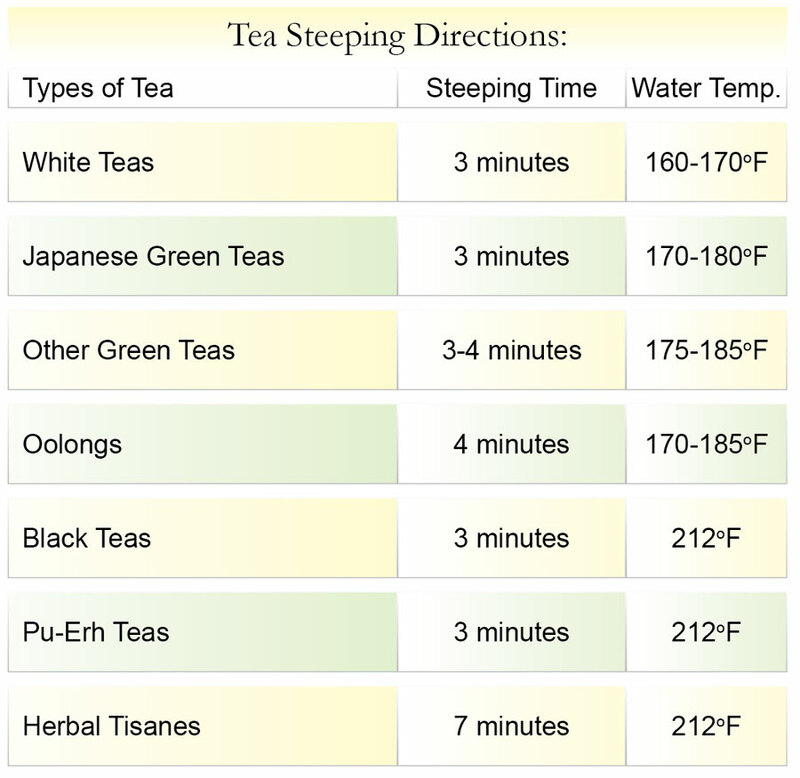 I would definitely recommend this to anyone especially the ones who are big fruit tea drinkers.